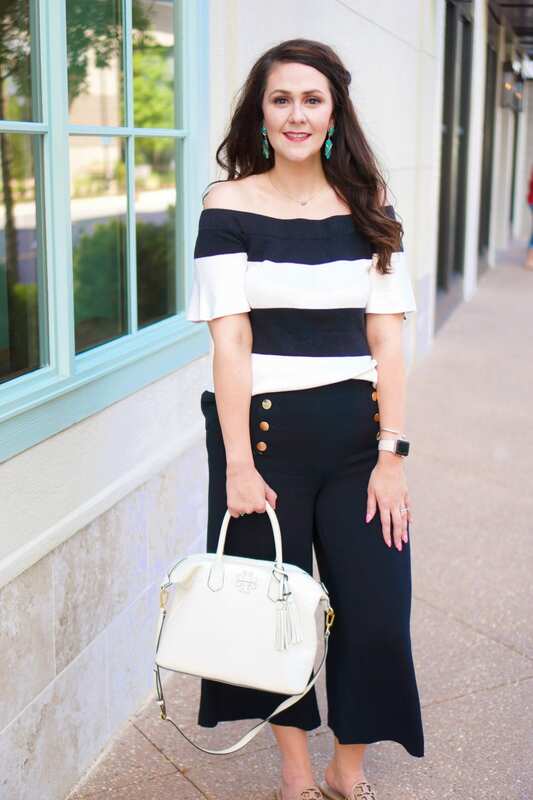 Each month, I team up with some of my blogging buddies for the How I Style It post–we all take one style idea and each put together an outfit based on it. 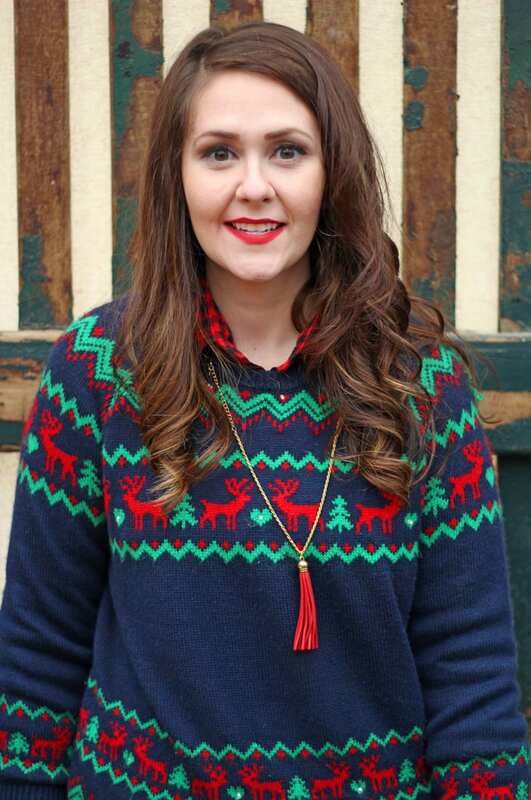 This month, the How I Style It girls have teamed up to show you how we’re styling Christmas colors for the holidays. Christmastime is my favorite time of year! I really get into the holiday season, especially when it comes to fashion. So I love sporting red and green. And I really love Christmas sweaters! While some are truly ugly, others aren’t! If you’re looking for a pretty Christmas sweater, look for some fair isle options like the one I’m wearing and the ones I’ve linked above. To finish off the look, pop a pretty plaid under your sweater. 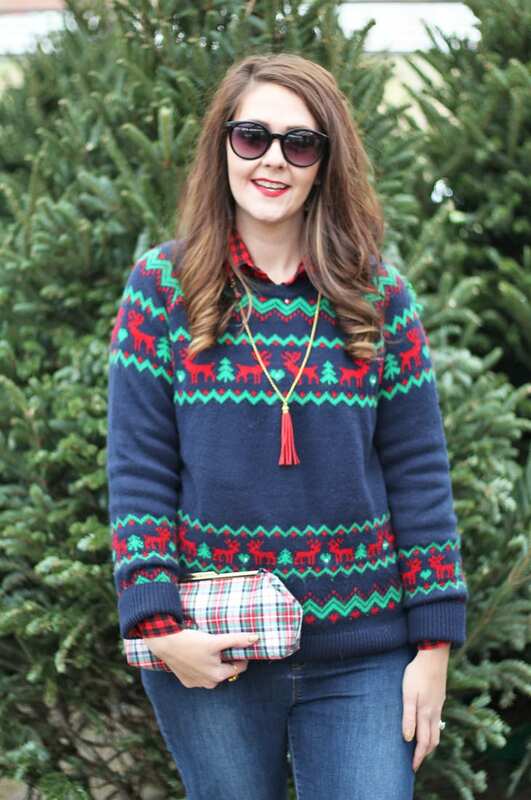 Here, I accessorized with my favorite plaid clutch, green ring, and a red necklace that stands out against the navy background of the sweater. 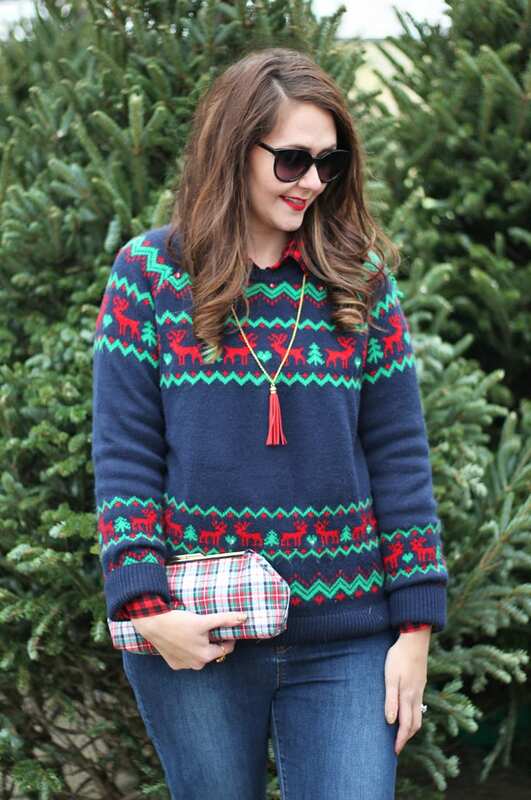 Navy is a great neutral to pair with your Christmas colors when styling a holiday outfit. 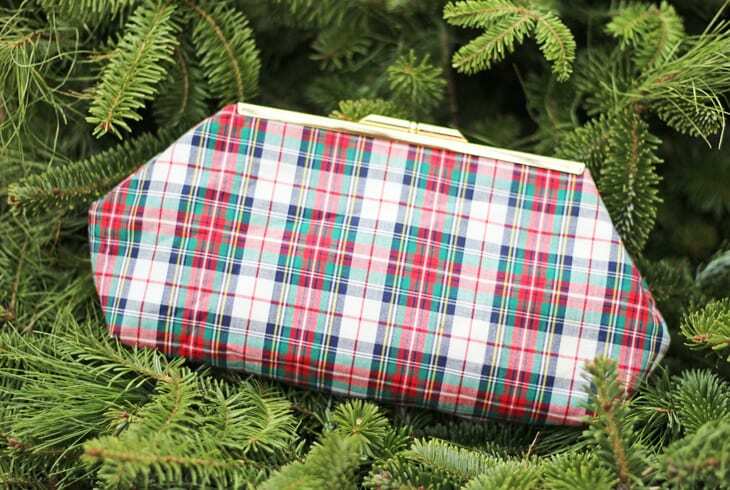 Even the plaid clutch has some navy in it’s pattern. Everything is pulled together with the green Tory Burch flats. By the way, these photos were taken out at Hillenmeyer Christmas Shop. 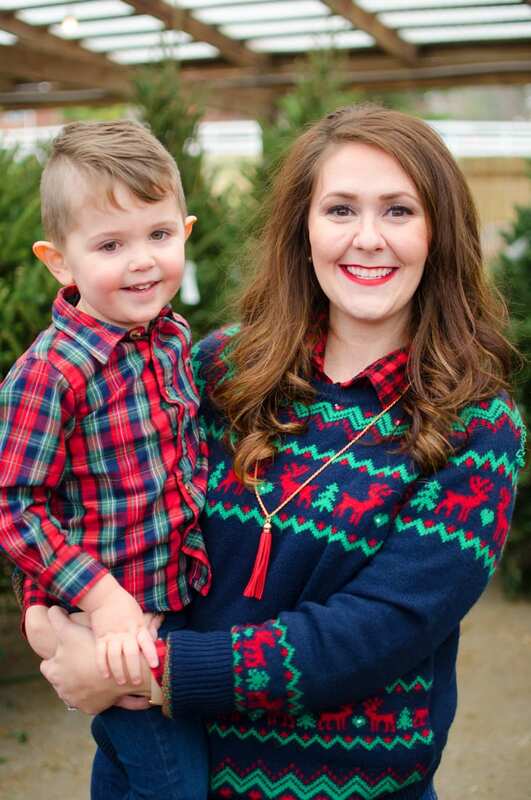 If you live in or will be visiting the central Kentucky area this Christmas season, then you MUST checkout Hillenmeyer Christmas Shop! Check out my post from yesterday with all the details of its enchanting experience here. How are you wearing Christmas colors this season? Be sure to check out everyone else’s looks via the blog links below! Photos by Whitney from Fabulous in Fayette and Chauncey.